This is how the United States plans to collect $3.18 trillion in tax revenue in fiscal year 2015. 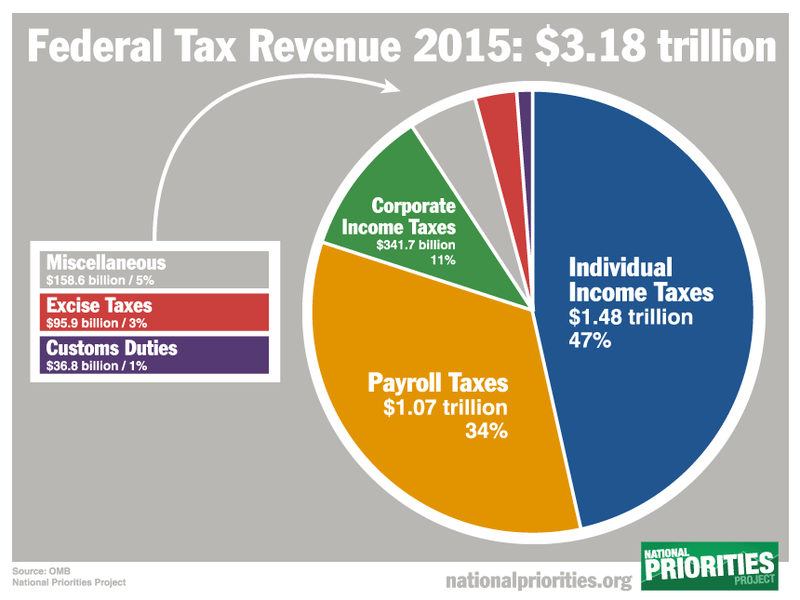 Tax revenue will cover 84 percent of the United States' $3.8 trillion in total spending. The rest – 16 percent – will come from borrowing.